Suggested correction: That is incorrect. Although it is true that the Ertzaintza carry out most police duties in the Basque country, both the Guardia Civil and the National Police are also present here. They generally deal with more serious crimes like drug smuggling, organized crime and so on. So it is completely believable - and quite likely that the National Police would respond to multiple shootings in the financial district. 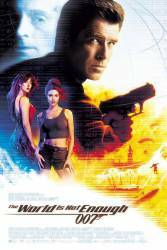 Factual error: At the beginning of the film, with the boat chase down the River Thames, Bond manages to get from the Vauxhall HQ of MI6 to Docklands in a remarkably short time. To travel the distance in the time that it takes him you would need to be going at about 700 mph. Factual error: In the boat scene at the beginning, the route is completely impossible. James Bond drives out from several dead ends. Continuity mistake: When Bond is sitting in the torture chair, and his right hand becomes free, you see him release his neck restraint, but never his left arm as he jumps from the chair. Factual error: When Bond and Christmas are inside the oil pipeline there are lights in the 'ceiling'. Why would there be lights inside an oil pipe? It also sounds dangerous. 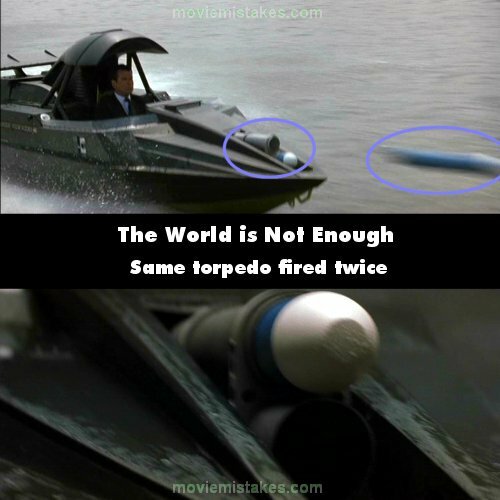 Factual error: In the final battle, Bond shoots up the dive controls of the submarine and it dives vertically down, straight into the bottom of the Bosporus. The sub is said to be a Victor-III that is about 100 meters long. The Bosporus around Istanbul, however, is only about 50 meters deep, so the rest of the sub would have stuck out of the water, not be fully submerged as shown. Continuity mistake: In the Caviar Factory scene, Bond is shooting at some enemies with a pistol. It cuts to a shot of Christmas and Valentin, then back to Bond. Now he has a submachine gun. Then in another shot, he is back to his pistol again. Continuity mistake: During the speed boat and Bond boat chase in the beginning Bond's hair can be seen going from wet, to dry and neatly done, then back to wet a few times. Plot hole: In the Banker's Office, Bond takes the strap from one of the window blinds to facilitate his escape. Overlooking the large quantity of cable he ties round the belt of the villain and his own belt, there must be an awful lot of strap for one blind to allow him to drop from that high up to the ground (well over 50ft?). Revealing mistake: During the gun battle after Renard escapes the bunker, someone gets shot, and you see the stunt bloke dive to the floor and scream even though the gun wasn't even pointed at him or any bullets fired. He's the one standing just to the right of the jeep as we look at it. Revealing mistake: After Bond jumps out of the window grabbing a strap, when he is hanging loose you can notice the cable holding him parallel to the body, pointing towards the sky. The strap is diagonally placed pointing towards the building. Revealing mistake: In Kazakhstan, when Bond shoots at Renard, the bullet takes too long to go from his gun to the bullet-proof window. Continuity mistake: Right at the beginning of the film when Bond is trying to escape from the banker's office, he goes to the window and tucks his gun into his waistband. He then runs to the body lying on the other side of the office, and tucks it into his waistband again. Continuity mistake: Pierce Brosnan's hair fluctuates in length noticeably throughout the film, most noticeably between walking down the path at King's funeral and moments later at the debrief at the MI6 Scottish Headquarters. Continuity mistake: When Bond is with Electra, before he goes skiing (in the little room looking at the pipelines), he has at least one button done up on his jacket, then when he walks out to go skiing you see that they are all undone.